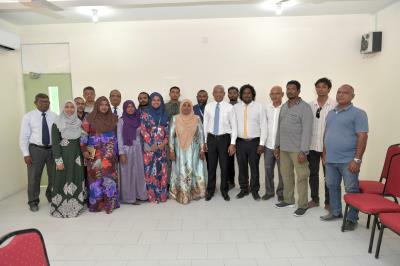 President Ibrahim Mohamed Solih has this afternoon met with members of the Maafushi Island Council of Male’ Atoll and Senior officials at the Island as part of his current visit to the Island. At the meeting held at Maafushi Island this afternoon, members of the council briefed the President on the current status of the island, and the most urgent needs of the island’s residents. In this regard, the Councilors especially noted the challenges being faced to the people of the island due to the scarcity of land, housing, harbor and proper waste management facilities. They also shed light on the challenges faced to the residents due to lack of road development, sports facilities and a shortage of employees at the council office. 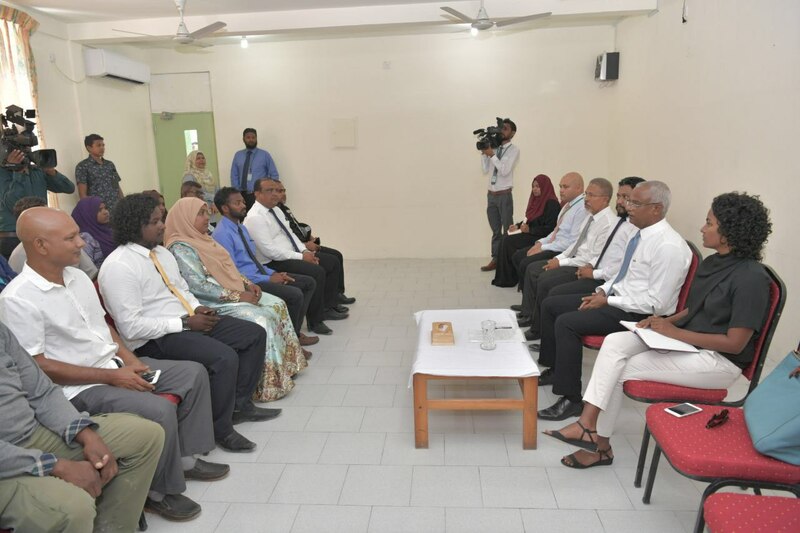 Moreover, senior officials of institutions in Maafushi Island briefed the President on challenges faced to the health center due to the lack of facilities and shortage of staffs. They also highlighted on the lack of land in upgrading the facility of MWSC and lack of land in the upgrading of oil storage space of STELCO. Furthermore, the senior officials shed light on the need for a dollar ATM in the Island and the space difficulty and a shortage of staffs in the Maafushi Jail. During the meeting, President Solih stated that the government would take necessary action after discussing with the line ministries and tackle these problems as soon as possible. He further noted that the projects listed in the budget would soon commence, especially shedding light on the land reclamation project which would commence on the second quarter of this year.